A young man dancing with other young people to music from Vox Populi sound system an off shoot of Spiral Tribe on Wanstead Common in East London. 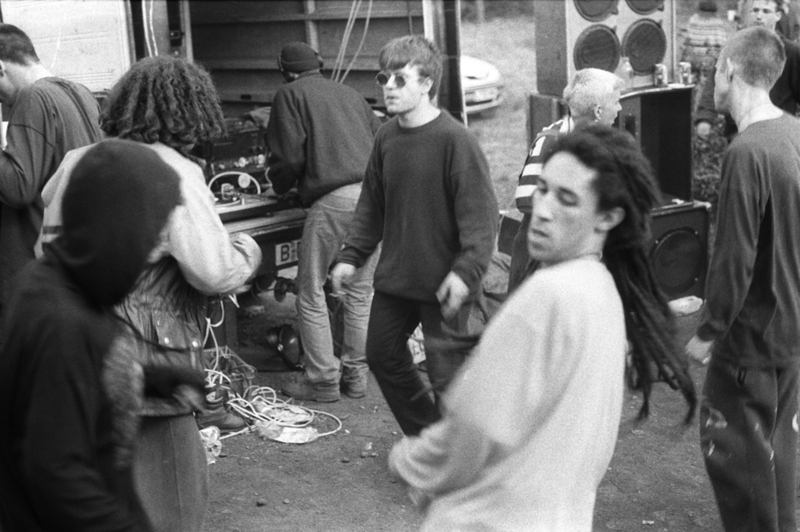 A group of young people raving to the sounds of Vox Populi sound system an off shoot of Spiral Tribe at a free party held on Wanstead Common in East London. 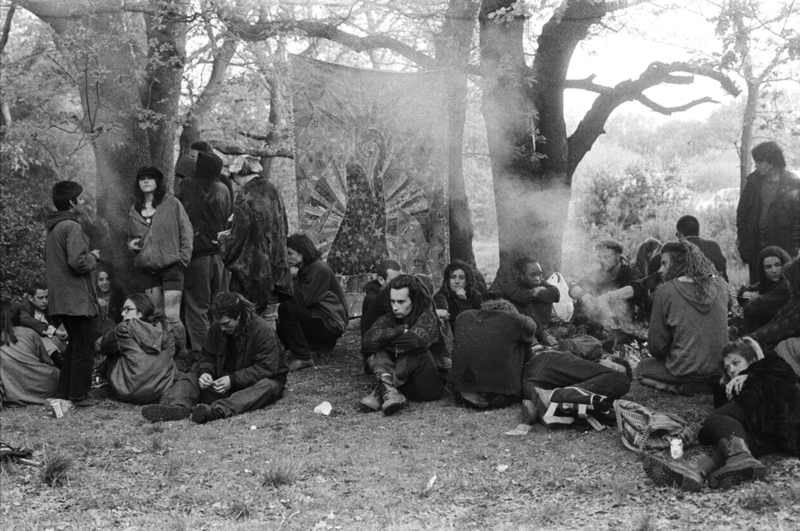 A group of young people chilling out around a fire in front of a backdrop hung between two trees in the woods on Wanstead Common in East London at a Sunnyside free party. A group of people in the early morning sunlight at a Sunnyside free party held on Wanstead Common in East London. A girl raving in front of Desert Storm sound system at a Sunnyside free party while a DJ selects a record to play on Wanstead Common in East London. A young girl in a leather jacket dancing with other young people at a Sunnyside free party on Wanstead Common in East London. A group of people dancing in front of Vox Populi sound system an offshoot of Spiral Tribe at a Sunnyside free party on Wanstead Common in East London. 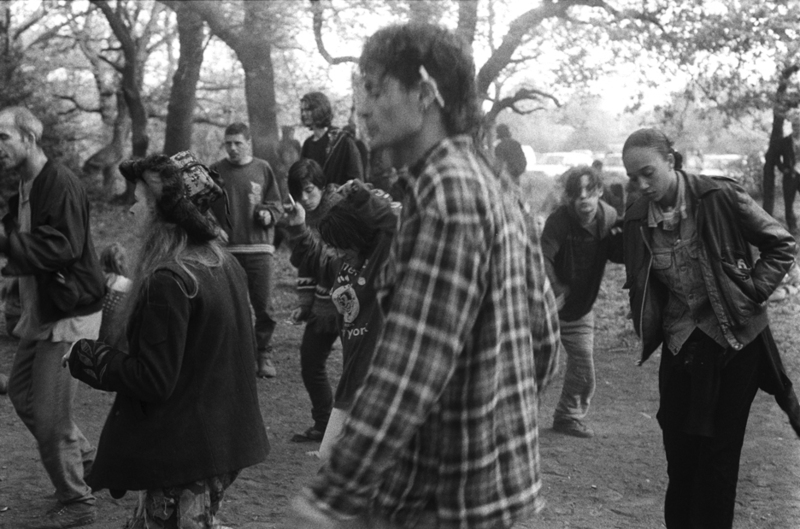 A young man in a check shirt dancing with other young people at a Sunnyside free party on Wanstead Common in East London. A group of young people chilling out framed by the wing mirror of a van window at a Sunnyside free party on Wanstead Common in East London. A generator hums in the background of a view from a van while people sit around a fire on Wanstead Common at the free party afterthe 1st anti CJA march. 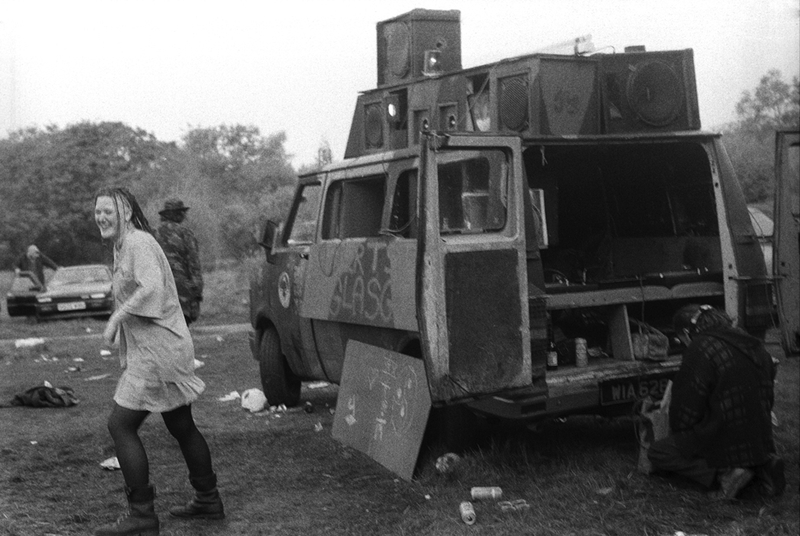 A girl raving to Desert Storm sound system on Wanstead Common in East London at a free party held after the 1st massive national public demonstration against CJA.